Along the southern tip of Absecon Island lies Longport, which looks out across the Atlantic. Margate, Ventnor, and Atlantic City are its northern neighbors. 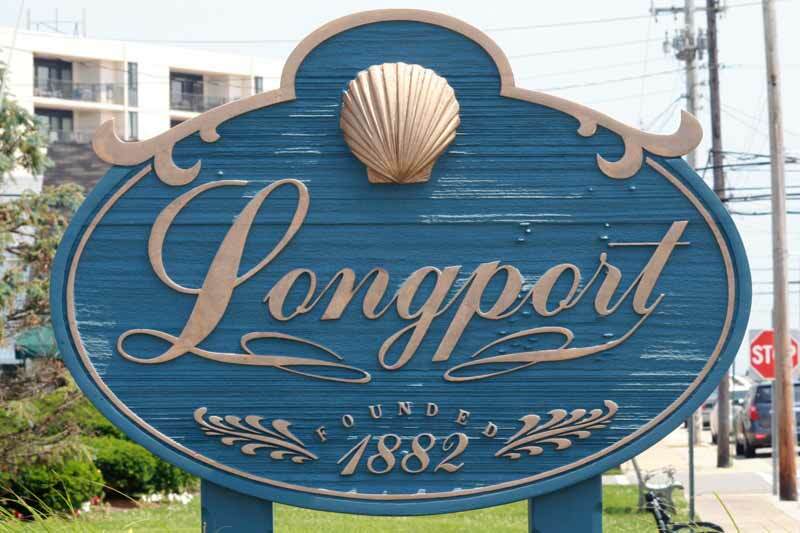 The first street in the borough of Longport is not First Avenue, but actually 11th Avenue as the first 10 streets were washed out to sea many years ago. The town is named for James Long, who purchased a parcel of land in 1857. He never lived on parcel 32, but ended up buying a block of land, where he built a beachside residence. In 1882, Long sold his original land parcel to a friend, M. Simpson McCullough. As a thank you, McCullough named the town after his friend.